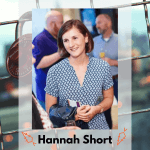 Hannah Short obtained a Masters Degree in Physics, specialising in Astrophysics, at Imperial College London (UK) and the Universidad de La Laguna (Spain) before moving into Software Development and Computer Engineering. She has worked in both commercial and research organisations to define and implement their IT services. Hannah is currently based at the European Organisation for Nuclear Research (CERN) where she contributes to various projects in Trust, Identity and Security for Research Collaborations. 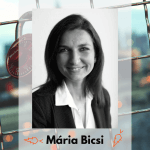 Mária Bicsi, working in the CyberSecurity domain since a couple of years, will be presenting cybersecurity essentials for freelancers and SMEs. Talking at a daily bases with cybersecurity experts and end customers she realizes which are the biggest challenges nowadays for companies and employees. She will cover in several domains, like secure communication, data privacy, physical security and she will make us aware about the most common cyber-attacks. She will share with us best practices about our online security and give real-life examples.